A Medieval silver half penny of Edward IV, first reign (AD 1461-1470), Light coinage dating from AD 1464-1470. 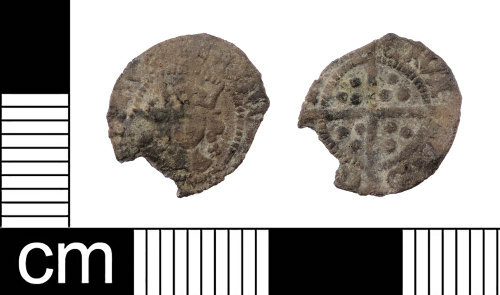 Withers' type 2, Class VIII, minted in York. North 1611. Dimensions: diameter: 12.10mm; weight: 0.28g.